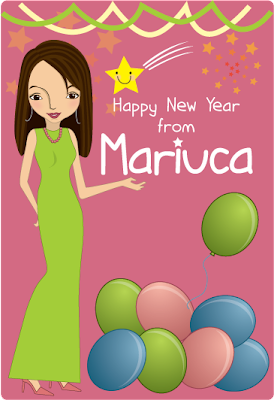 Mariuca's Perfume Gallery: Happy 2009 from MPG! So what are your New Year plans tonight? Will you be like me enjoying a nice dinner with my loved one at our favorite restaurant or will you be partying all night long in clubs with friends? Will you be driving around to view the beautiful New Year decorations in the city or will you be having a quiet night, watching the entertainment lined up on TV tonight? Whatever your plans, I wish you all the thrill and excitement 2009 promises to bring. 2008 turned out to be pretty decent for me. Baby Issy came back to Malaysia for a month long visit, which totally made my year! I made plenty of new friends here at Mariuca's Perfume Gallery and though I did not realize most of the NY resolutions I made around this time last year, I did manage to meet the financial target I had set for my freelance copywriting business. One is better than nothing right? To celebrate the countdown of the coming year. You’ve brought me much laughters and tears. A very happy & smashing new year!! Wish you and All Mariucans a Prosperous New Year! Oooh, there you are all dressed up for New Year's Eve... Yowzaaa! Happy New Year 2009 to you and B.
happy new year! hey marzie, you look hot and sexay!!!! Nak pi party ke baju hijau hehe! but my TOSOE maintain PR3! but i think it's okay, PR2 pun PR2 lah...so i guess my strategy didn't worked out that well haha! Am I your first visitor this year?!! Looks like it's past midnight on your side of the world, so Maddie, London, BEAR-iuca and I are here to say HAPPY NEW YEAR 2009! Very pretty Marzie. Love your look...hehehe. Anyway, Happy New Year to you and your hubby. Our new year will be with friends and my family. God bless. I just came back! so tired..argh..
have a wonderful evening Mariuca and Happy New Year 2009!!! Wonderful wishes to you as well, Mariuca. I hope you have a wonderful evening. Be safe, have fun and bring in the new year. Best wishes and much happiness from Matt. May you have good health, great wealth and much joy! What a lovely New Years card you have there!! Emila is awesome!! Congratulations on such a successful year here at MPG and at Mariuca. Happy New Year to everyone in MPG-land!! Thanks for dropping by Roxy's Best Of... and trying my Italian meat sauce! Hehe Marzie! Taktik tah apa-apa! tak menjadi lah taktik I untuk maintain PR3! Alamak forgot to wish B happy new year that day! Regards to B and tell him Emila says Happy New Year! Happy New Year! May all your hopes and dreams come true in 2009! Wish you this new year gives you health and wealth. How funny, Mariuca, that you even knew who to write to for the widget. I would not have a clue. 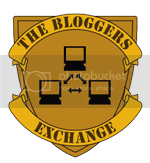 You are a far better blogger than I for knowing how to get straight to the heart of the matter. Happy new year to you to! I have something for you over at Life with Kim. Woof GP, you look awesome in this green dress and the pink heels hehe! Last year was great but hopefully this one will be even better for all of us. Woofies! MEOWIES! Thank you Sushi, I love my green dress and pink heels too! Great colour combination for GP he he! Recent blog post: Pensiunea Roua de Munte***din Baile Herculane,oaza de liniste si relaxare de care aveti nevoie!